Kindle Unlimited/KDP Select vs. Going Wide: Which is Better for Self-Published Authors? Indie authors are faced with an important decision when self-publishing ebooks: go “wide” or stay exclusive to Amazon? Either side can argue that one is the better choice – and if you’re a member of any online author forum, you’ve probably seen this go down first-hand! But there is no one-size-fits-all answer: it really comes down to your goals, preferences, the genre you write in, and more. 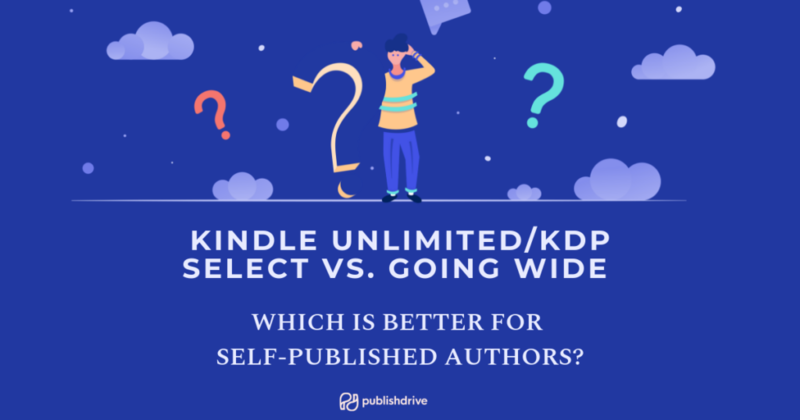 To help you understand these options, we’re taking an in-depth look at the pros and cons of Kindle Unlimited/KDP Select and going wide for self-published authors. While doing your pre-launch research, you might be wondering: How do other indie authors rack up dozens of reviews within the first day of publishing? It takes some planning and effort, but it can be done, even on a limited budget. 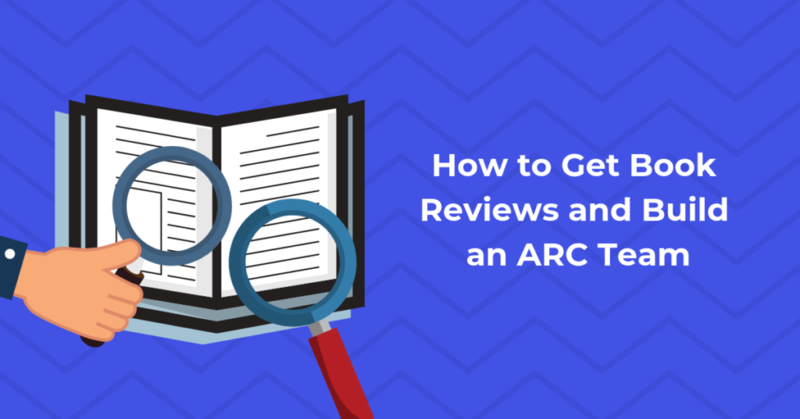 Below we’ll explain how to build an ARC (“advance review copy”) team, get reader reviews, and position your book for a successful launch. 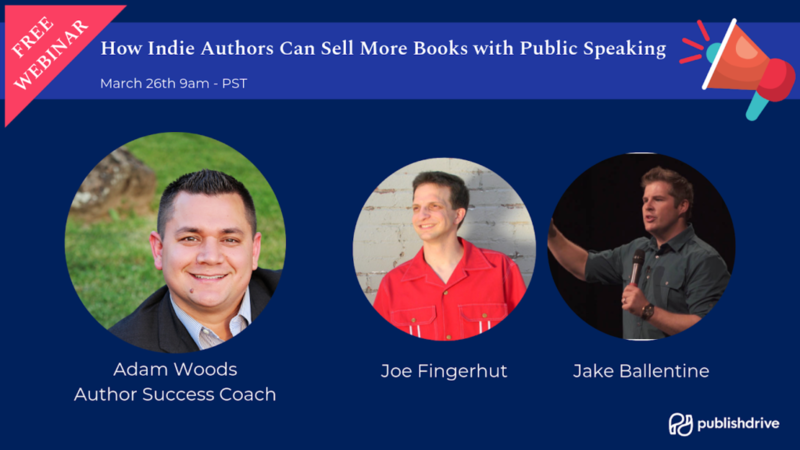 Upcoming Free Webinar: Sell More Books with Public Speaking! For many authors, public speaking is a source of anxiety. But effective communication skills are crucial, whether you’re networking with a small group, meeting readers at a book signing, or speaking onstage to a crowd of hundreds. Through effective public speaking, indie authors can influence others, control their branding, and most importantly – sell more books! Announcing Exciting Updates to the PublishDrive Platform! 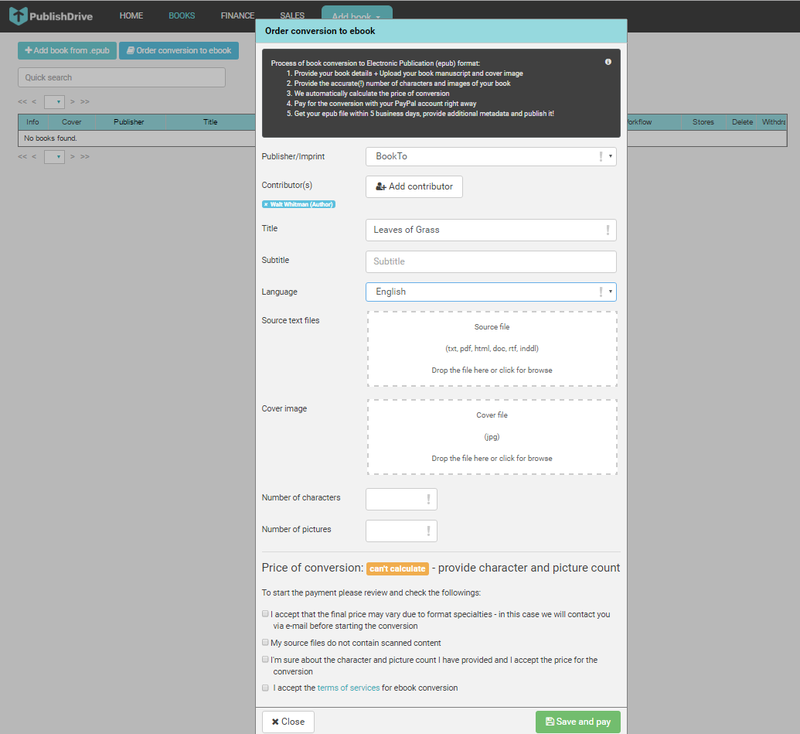 You may have noticed we recently rolled out some improvements to the PublishDrive platform. These adjustments were based on valuable user feedback and months of research and development, with the ultimate goal of improving your self-publishing experience. PublishDrive offers one of the most robust distribution networks in the industry. With distribution to over 400 stores globally, authors can access untapped markets not reached by other platforms. But we understand that you might want to distribute some titles to certain stores while excluding others. With our previous system, distribution to stores could only be set at an imprint level, which made it difficult to separately manage distribution for individual titles. Now distribution to stores can be set at a title level, so you can turn store distribution on or off for a title with just a few clicks. 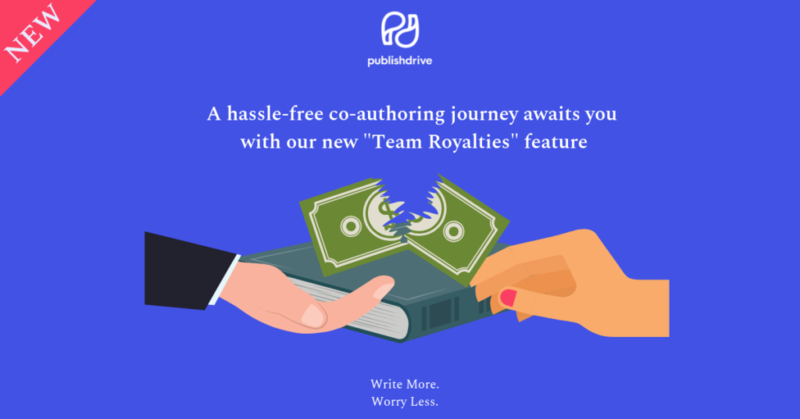 PublishDrive is the most intelligent ebook publishing platform where you may ask for ebook conversion if your books are available only in docx, InDesign file, rtf, html or PDF. After conversion, you can publish your beautiful ebook to iBooks, Kindle, Google Play and to 400 other outlets easily. 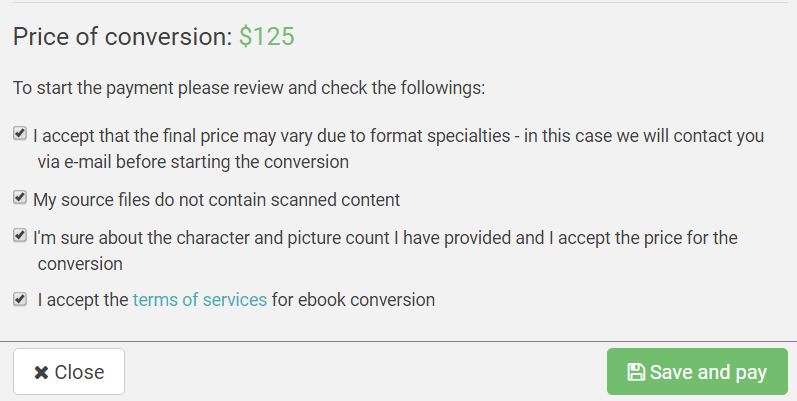 You have to pay a one time fee for ebook conversion based on the complexity and length of the book (average price: 0.5 USD per page). We prefer to receive docx, InDesign file, rtf or html as an input format, but the print PDF can be uploaded as well to make sure your ebook will be similar to the print book version. 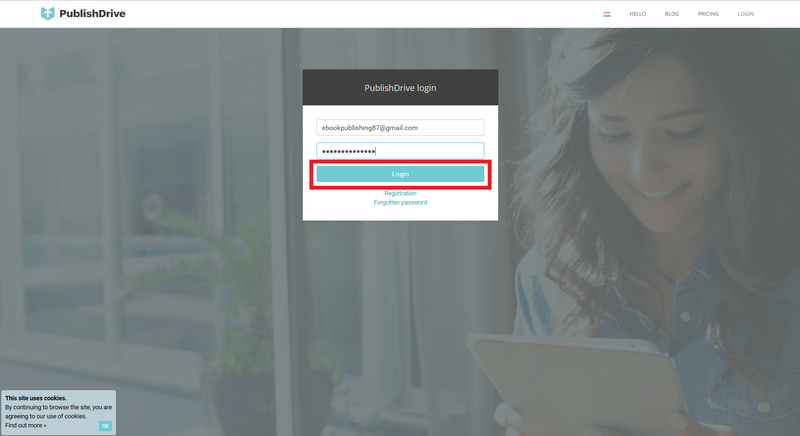 After successful conversion your files can be downloaded via PublishDrive, so you can use them on your own as well (so you as the copyright holder will be able to sell those ebooks in your own shop, but not in the stores where PublishDrive is publishing your books already). We will get in contact with you regarding your ebook conversion order and it takes usually 3 business days per one book. But in case of complex and long ebooks it may be a longer period. Register for free in PublishDrive and log in. 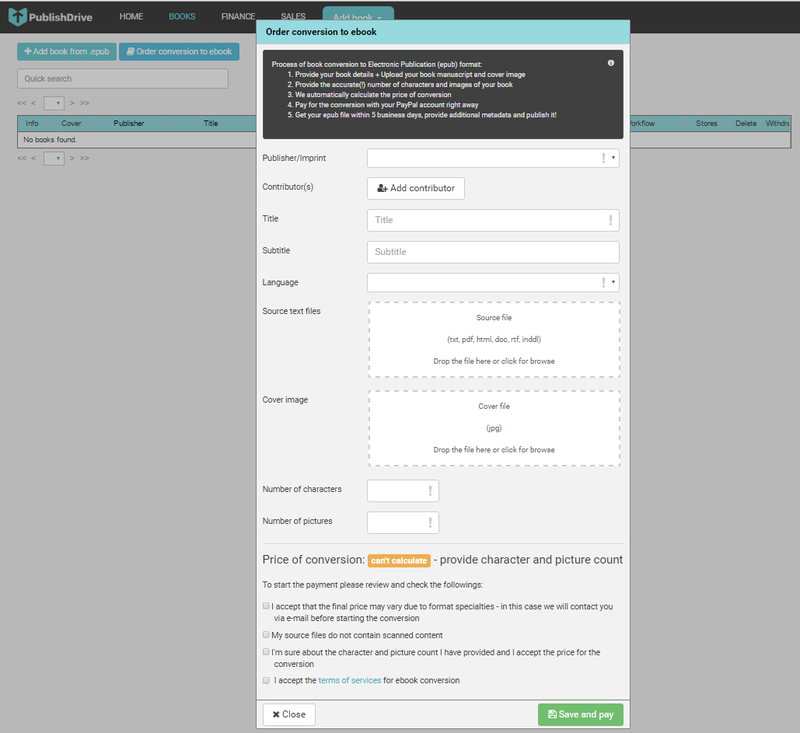 Choose “Add a book” option in your account and select the ‘Order conversion to ebook’. Upload your book manuscript and cover file. You may add more source files like docx, pdf, indd, etc. Provide the accurate number of characters and images. 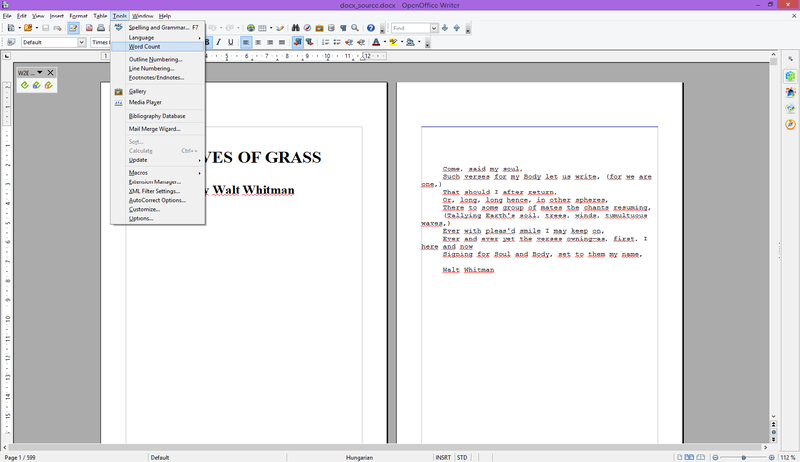 Open a text editor program and check it out. 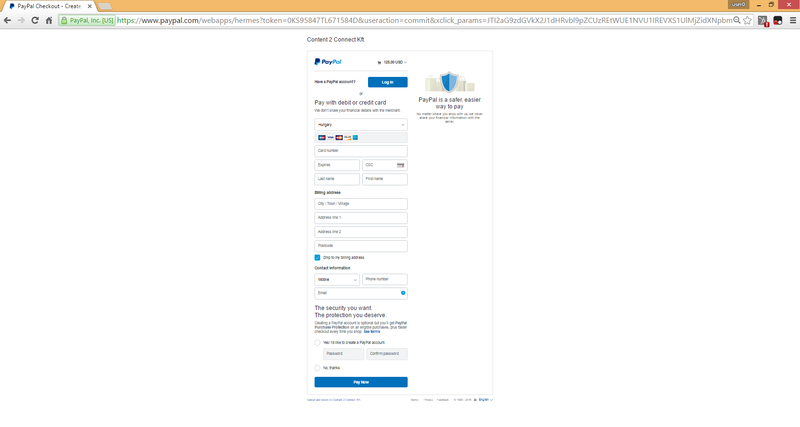 After typing in the accurate numbers, you’ll be able to see the price of conversion. When you accept the following conditions you can save and pay. After payment, wait for your epub file getting ready. We use human power to create your beautiful ebook, so it takes usually a few days until it is converted. Your ebook will be high quality, commercially valid file which is the first step if you want to sell your ebooks globally. 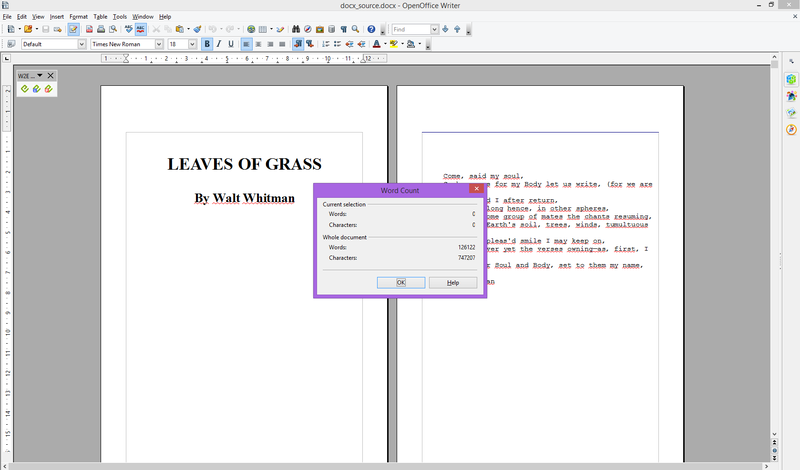 After successful conversion your epub file can be downloaded via PublishDrive. 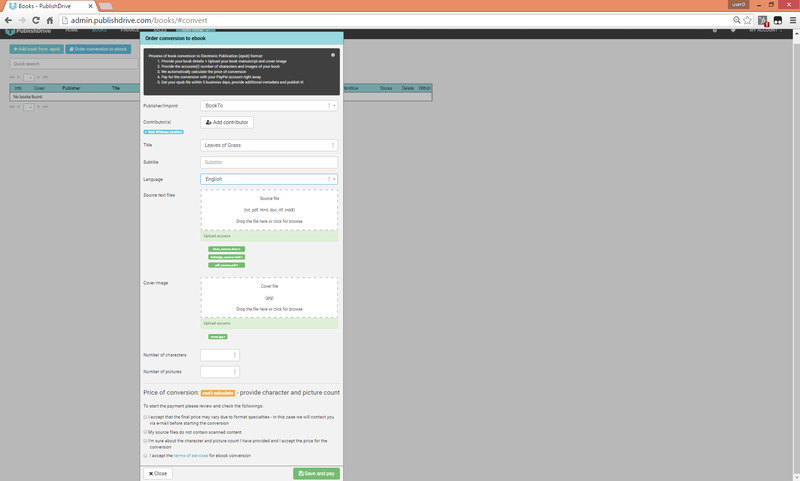 Check out our demo ebook publishing video, so you can see how PublishDrive works in realtime. If you like what you see, sign up and start increasing ebook sales by publishing over 400 stores in 100 countries! 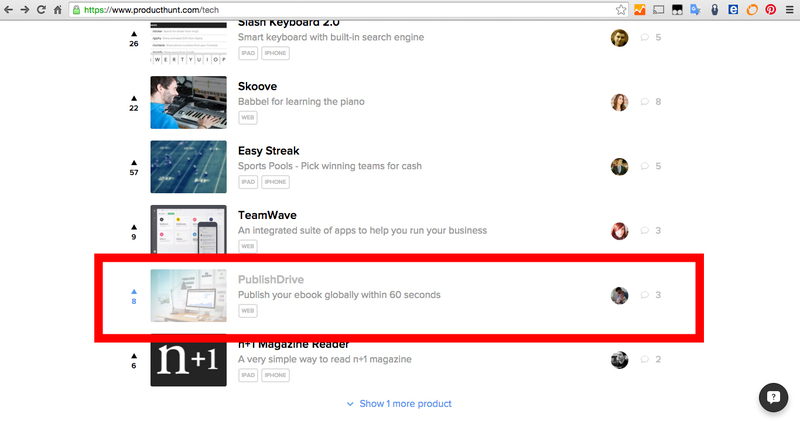 Upvote PublishDrive on Product Hunt and support small publishers and authors go global! 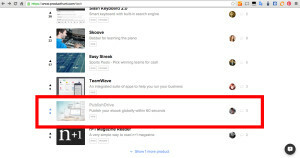 PublishDrive is listed on Product Hunt selling books in the most intelligent way! Publishers and authors are getting more independent and strong-minded about looking for new ways to distribute books globally. They are building sustainable business and managing digital innovation in favor of their long-term goals: finding new readers and increasing their sales globally through new intelligent solutions. But they may miss one selling point in their business: finding new readers in new markets through new stores where Amazon and other major retailers are not the most dominant ones and where English language content is still a scarcity. Not only innovation in the publishing industry, but demographic trends may help publishers rethink their strategy about exporting their books across the globe. New market segments may arise in a world through mobilization of workforce and education where the market should have been traditionally separated by language and geography. But this situation has changed and marketers have to be aware of the new trends to build appropriate strategy around it. A UN study (United Nations, 2013) released that 232 million people, or 3.2 percent of the world’s population, lived outside of their countries of origin in 2013. That figure compares to 175 million in 2000 and 154 million in 1990 which shows a significant increase of expatriates community all around the world. An expatriate is “a person who lives outside their native country” according to Oxford Advanced Learner’s Dictionary. Although, these people come from different cultures with different background, they share one common value: they want to be reconnected with their countries by consuming local content which may be even English, German, Spanish, Russian, Turkish or Polish or any other language all around the world. This common value may be noticed in our sales numbers for a 1.5 year period at PublishDrive in case of one specific Eastern European language, Hungarian content depicted on figure below. A very exciting sales trend may be concluded about these numbers: an average of 31% of sales are coming from people living outside of their home country which shows an emerging new market segment, the expatriates which could not be reached before ebooks and before PublishDrive’s service. Although, Hungarian language is a relatively small language, spoken by 11 million people all around the world and claims to have 350 000 registered expatriates globally (Blaskó, SEEMIG, 2014), this demographic change affects all countries around the world. 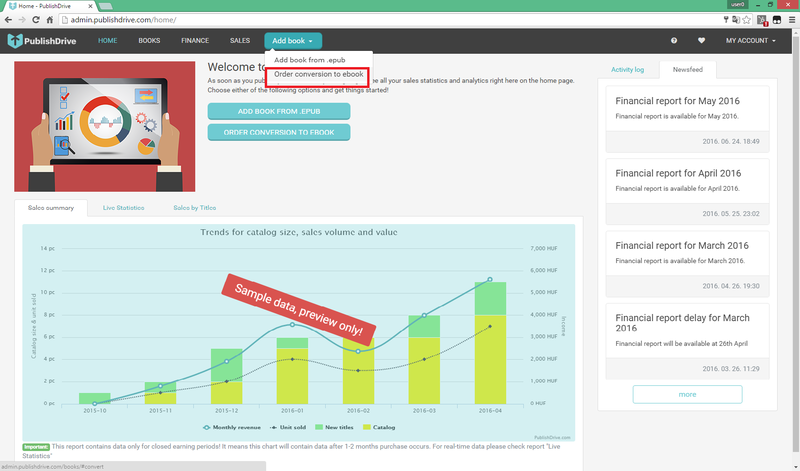 The thorough analysis of sales data in PublishDrive shows that there is a moderate relationship between the increasing sales number of ebooks abroad and the overall sales meaning that there is a new market segment in forms of expatriates who may drive ebook sales. The nominal value and volume of expat sales is constantly increasing showing a higher volume of purchasing power, greater interest in local content and more openness to innovative products from the end-user perspective at expatriates. Results suggest that expatriate sales are dominant part of overall sales in the industry which may open new doors for publishing revenues. With PublishDrive there are many new stores covered in the East and Baltic area of Europe, Asia and Africa and our partnerships with ebook stores are growing constantly to increase ebook sales globally.